Welcome, dear reader, to 2012. It looks to be a pretty amazing year for me, with many projects on the go and quite a few being lined up for later in the year (including one potential project I simply cannot talk about now – but if it works out, trust me, you’ll all love it). I have set many goals for the following year, and one of those is to conquer America! Well, not through some massive invasion, but merely to get my works out there in the American market. I’ve already got all my eBooks out in the States, of course, but I’m an old fashioned guy and I want to be all over the US in print. And, by jove, 2012 WILL see it happen. Yes, I am determined. For the first few months I will be very busy with writing. 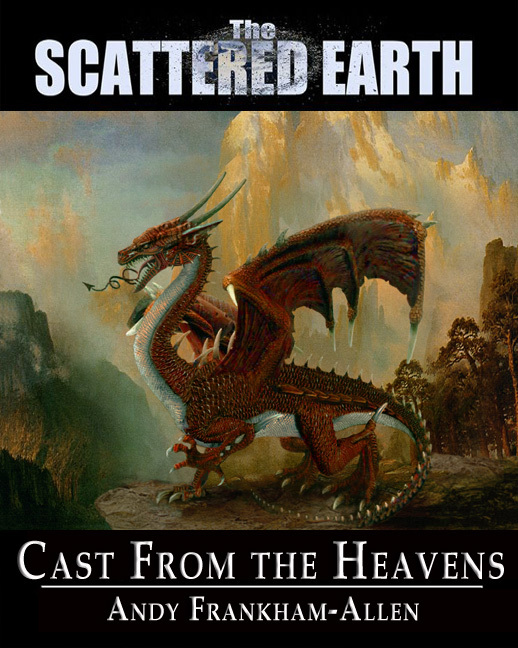 I’m currently working on a new novel, Cast from the Heavens, which will be a book in the ‘Scattered Earth’ series, published by Crossroad Press (yes, an American publisher! It begins here). This one will be quite a departure for me, no sense of the macabre, no supernatural, and very little science fiction. It will be a fantasy epic, in the same mould (hopefully!) as Jim Butcher’s Codex Alera series of novels. As soon as I finish this book, I shall be moving on to my half of Conspiracy of Silence, the series two opener for Space: 1889 & Beyond which I am co-writing with Frank Chadwick. I can’t say a lot about that one, really, since anything I say will only give away the end of series one, and that doesn’t happen until March. Needless to say, it will shake the universe of Space: 1889 & Beyond and the lead characters (Nathanial Stone and Annabelle Somerset) to their very core. And, if that’s not enough, co-currently with these projects, I shall continue to work on Augury, the second book of my Garden series. Oh, and of course, editing the first few stories of Space: 1889 & Beyond series two. So, I think that’s enough to get 2012 off to a good start. Needless to say, that’s not all I’m working on, or have going on around me, but it’s all I can talk about. Therefore, let me share with you a few other related things instead. Seeker gets it’s first review for 2012 (well, it was written right at the end of December, but that’s close enough), which you can read HERE. Space: 1889 & Beyond continues to hold its own at Untreed Reads, remaining in the Top Ten Bestsellers for four months in a row. To see the full list, click THIS. And now something a little less connected. It’s all over Facebook, but I want to share it here. 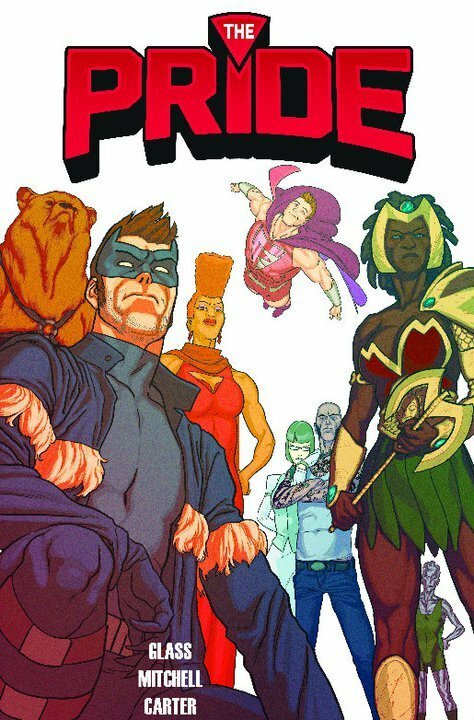 A short while ago, a few friends of mine released the first fully-fledged LGBT superhero comic, The Pride. The comic book and its creators have been nominated for various Eagle Awards. Please do pop by and support this wonderful comic by voting HERE. For those of you interested in my person life – tough! No, just kidding. I spent the Christmas period with my maternal family (and when I say maternal I really mean maternal – there’s so few males on my mother’s side), and the New Year with my paternal family. I’m no fan of Christmas particularly, but I do feel that spending time with those you love is important. Even more so this past year, ever since I lost my father in December 2010. Don’t worry, I’m not going to bore you with the long and complicated story of my clichéd relationship with my father, but it’s one of those moments that you know you’ll never be able to go back and fix. So, being with my family is important now. More than ever. Real Life Comics = Awesome! So, there you have it. A rather random post to start the year.